The Versa takes what LG did with the Dare and improves on it just a little bit. The biggest change is the addition of changeable home screens. 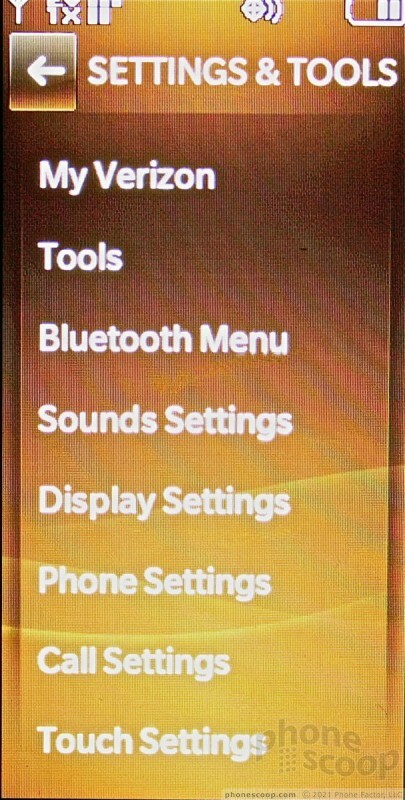 Each screen can be set with different applications and settings, such as wallpapers. Flick your finger sideways across the screen to rotate to the next home screen. Verizon and LG have called the three different screens Favorites, Media and Shortcuts. The Favorites screen can be populated with your, uh, favorite contacts. The Media screen can be populated with multimedia files, bookmarks and other media. The Shortcuts page is the most versatile, and you can add links to just about anything on the phone here. Content is added to these screens with a little settings icon that is placed at the bottom of the screen. Press it, and away you go. Aside from this, it works much like the Dare and other Verizon touch phones, for that matter. 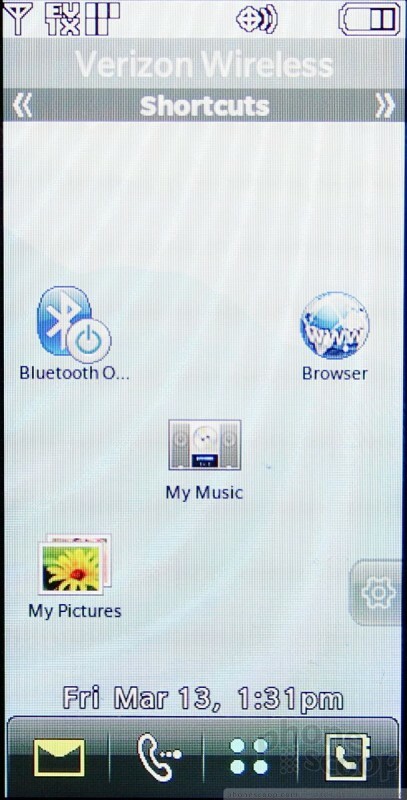 On any of the home screens, there are four software buttons running along the bottom. They are messaging, phone, main menu, and contacts. 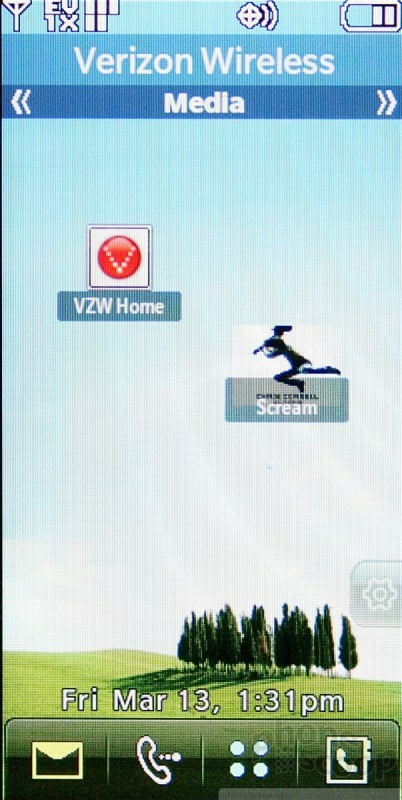 The main menu icon takes you to the phone's main page for accessing all of the Versa's features, applications and settings. You have to go back to the main menu to access the other items. There is a "back" button at the top left of the screen. The icons all look great, and it is very simple to figure out how to navigate the Versa's features.